Machine Gun Assistant at the 93rd Mechanized Brigade. Born on August 21, 1978 in Kherson. On January 17, 2015, Oleksiy Sokolovskiy and his comrades-in-arms on five infantry fighting vehicles (IFVs) engaged in combat with Russia-backed militants on the way to a monastery near to the main terminal of the Donetsk airport. Two IFVs were forced to stop. 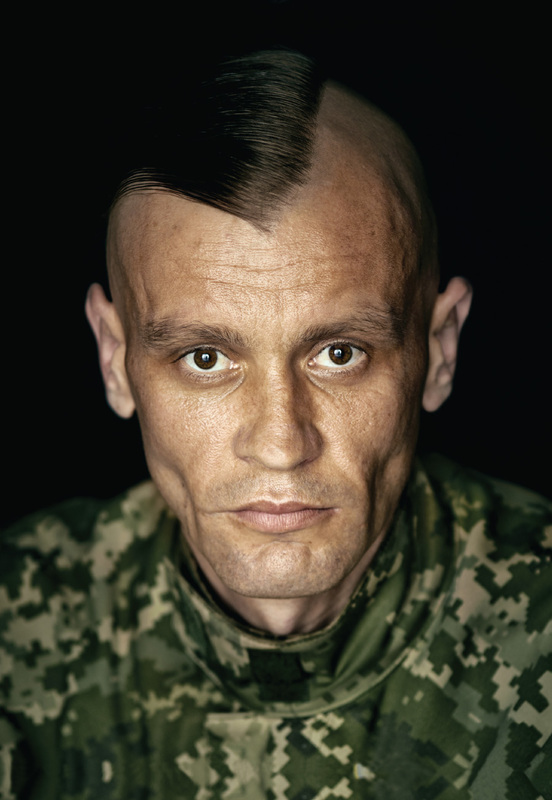 Under cover of smoke, private Sokolovskiy jumped off the third vehicle and ran to help other soldiers. When he saw that the driver suffered concussion, he moved him to the safe place and helped the crew start the engine. All of this took place under heavy enemy fire. Moreover, he and another fellow soldier eliminated the enemy’s firing position with a few well-aimed bursts of machine-gun. Private Sokolovskiy was wounded in a leg in the course action.